Anneke Short wants to challenge preconceived notions of what a designer does. Her minimalist posters say it all. 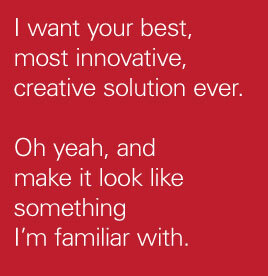 If you’re a designer, you’ll get a chuckle out of these—non designer—not so much.